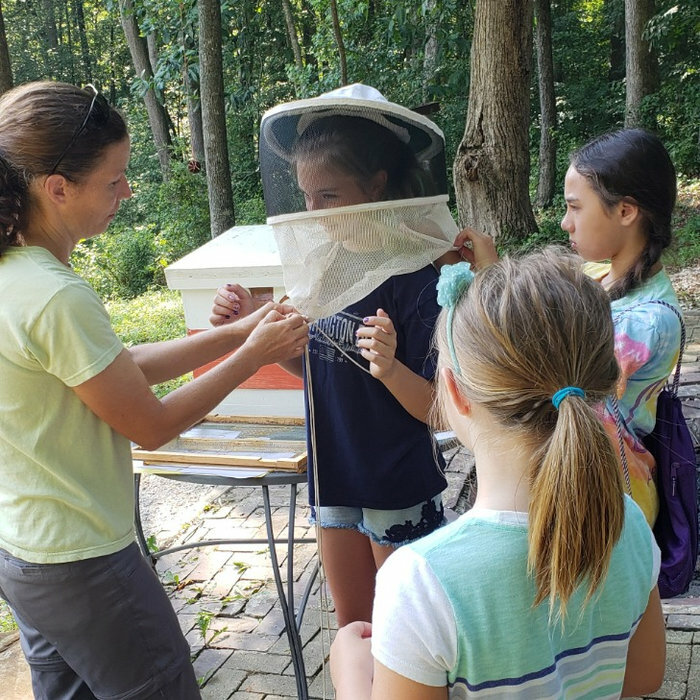 This month energetic campers learned about pollinators, beekeeping and designed their own pizza garden! Additional summer camps can be found here. 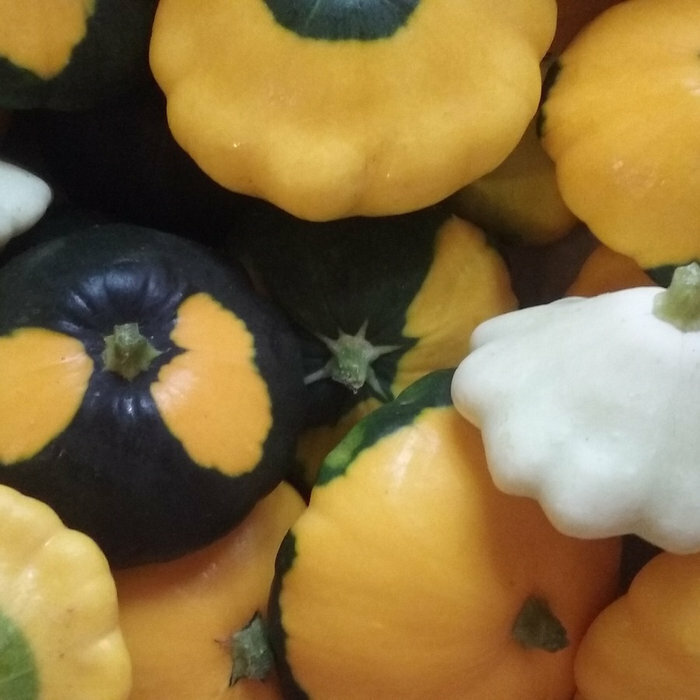 This month our Patty Pat Squash, aka UFO’s, are in full swing and should be through August. This is an easy summer squash that you can grow too. These have incredible flavor and come in different colors. Our family loves to dice and grill them with salt and pepper. They have a soft skin and taste like butter! During our recent “Bees and Shrooms” camp, a worker bee was attracted to a camper. Lola was patient and calm while the little girl explored her hands. Our farm has Italian Honeybees that are docile but not the best honey producers. Better honey producers are often aggressive. To make sure our farm visitors are greeted by pleasant bees we selected Italians. We recommend the beekeeping classes offered by the York County Beekeepers Association. 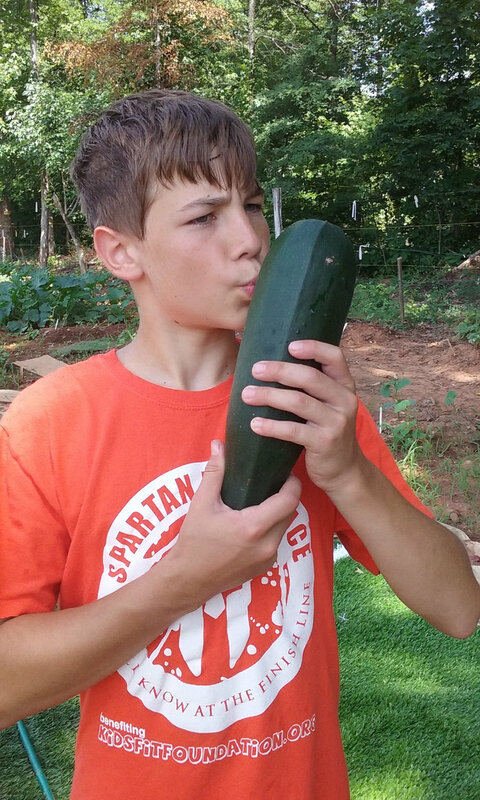 Yes, this zucchini should have been harvested sooner but Nicholas was still proud to have grown his own veggie. Rachael loves creating her own twist on recipes. This one is eggless and uses zucchini and squash. 3 ¼ c flour 1 ½ tsp salt 1 tsp nutmeg 2 tsp baking soda 1 tsp cinnamon 3 c sugar For the full recipe visit our website at jandjfamilyfarm.com/recipes.